Mount Alvernia College is pleased to announce the introduction of Academic Scholarships. 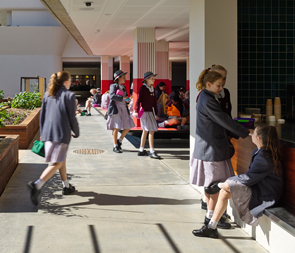 Mount Alvernia College will participate in the ACER Cooperative Scholarship Testing Program (CSTP), an annual testing program for scholarships for independent schools throughout Australia. The exams used for these scholarship selections are written by ACER (Australian Council for Educational Research) in Melbourne. The ACER supplies these tests to the schools which participate in the program. Schools administer the tests and send the papers back to ACER for marking and analysis. ACER then reports to each school on the performance of the candidates who applied for a scholarship at that school. The school then selects the candidates to whom the scholarships will be offered. Our first scholarships (Level 1) will be offered for students commencing Year 7 in 2020 and (Level 2) for students entering Year 10 in 2020. Level 1: Designed for students to sit the test during their final year of primary school for entry into their first year of secondary school in the following year. Scholarships offered for this level cover tuition only costs for Years 7, 8, and 9. Level 2: Designed for students in Year 9 for entry into Year 10. Scholarships offered for this level cover tuition only costs for Years 10, 11, and 12. Scholarships may be offered to students who exhibit qualities compatible the aims and ethos of Mount Alvernia College based on the ACER Scholarship Examination results, previous academic record, and an interview with the Principal. All applications must be completed online via the link below. Applications will close midnight AEDST on Monday 4 February. The date of the scholarship examination is Saturday 23 February. It will be held at Mount Alvernia College beginning at 8.30am and finishing at approximately noon. The ACER Scholarship Registration fee is $130. All Academic Scholarships are awarded at the discretion of the College Principal. Please click here to register and pay for an ACER Scholarship Test.